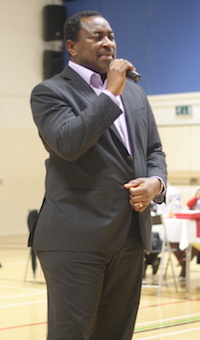 I wish to personally welcome you to Harvest International Ministries UK and the network of Harvest Chapels. These are santuaries where God is always doing a new thing. Enjoy your time of fellowship with us and should you want to speak to me or any member of the Board of Trustees or the Pastoral Leadership Team, please do not hesitate to contact us. February is our month of "Preparing for Significant Impact". Our key verse is Ephesians Chapter 1 verse 3. It's an exciting time as we wait expectantly upon God for direction and strength that is sure to last through the year. The prayer topics from our January 2019 fast may be downloaded by clicking this link. We believe in meeting needs,so we make it a point to cater for our members and local communitiy. To see what past and present members say about us, because God is in this house, click Testimonials page. We'd love to meet with you at our next meeting. You can visit our ministry meetings, or join us on Sunday evening for church. We're hosting our annual camp meeting in Basildon this year. Please join the live-stream on Youtube. The theme is transform to be like Christ. We will meet to close out the month in a warm and convival environment. Venue will be the Pearson Centre. All workers will meet for a workers meetings. Join us for our Service this sunday. Time is 10am prompt. Expect great things. We will meet at the Pearson Centre. More information at the calendar.